Welcome to paradise! 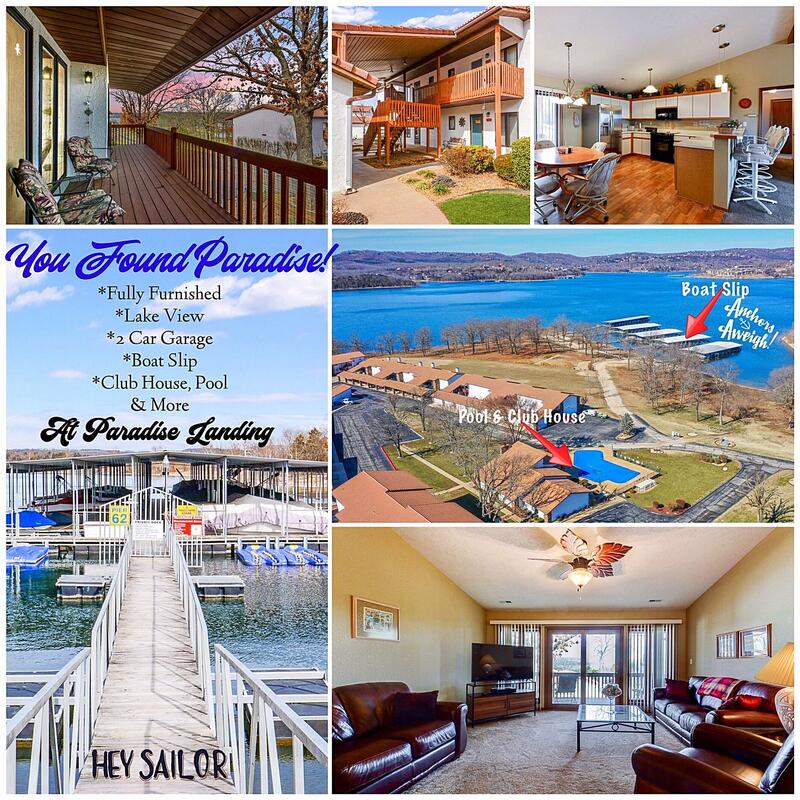 This spacious condo for sale at 1802 Paradise Landing Road 2 overlooks beautiful Table Rock Lake. Paradise Landing condos is an ideal location for vacations and full time living in the Ozarks. Nightly rentals are restricted in this neighborhood community, so you can expect it to be a quiet location to relax by the pool or head out on the lake for a fun day of swimming and fishing. Please call 417.527.8435 for Kimberling City Paradise Landing condos for sale.